Our fantastic range of contract sofas have been delivered to thousands of business and organisations across the country. 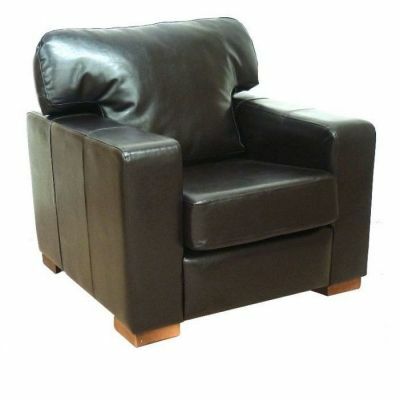 Many on offer on this line are in commercial use Crib 5 fire retardant upholstery and are held in stock for a rapid delivery. The sumptuous club style of the Retro contract sofa gives an imposing appearance and offers a high degree of comfort to your customers. This sofa have proved very popular in hotels and restaurant waiting and bar areas. 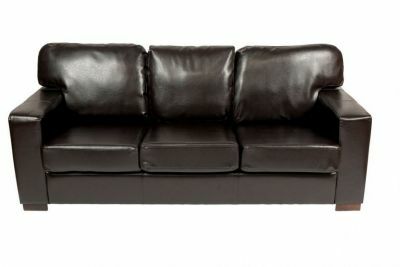 We can normally achieve a 3 day delivery of this contract sofa to most areas, subject to availability. Corbusier sofas are a faithful reproduction of the sofa designed by the famous Swiss architect and furniture designer Le Corbusier in the 1930's. Another reproduction of the design classic Barcelona chairs sofas are also offered on this line in black or white leather. A contract sofa with more traditional lines, the Yeovil range is also highly favoured. 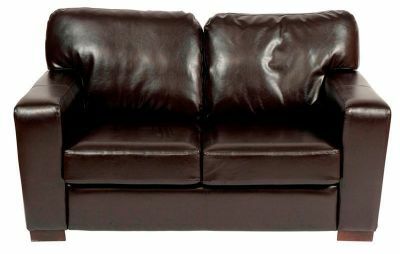 Available in one, two or three seater options in a selection of genuine premium leathers including red, ivory or distressed brown. The Yeovil range of contract sofas is constructed on a durable hardwood frame and is supported by dark wood colour wooden square legs. Decimo is a range of contract sofas and benches that is a favourite with commercial reception areas for hotels and offices. This range is available in as a one, two or three seater bench (that is without arms and a back or as a contract sofa with wrap around arms. The is a contemporary style with chrome detailing and is offered in a comprehensive section of fabrics, vinyl's and hides. Another favourite the Elle contract sofa is offered in sumptuous brown leather and two and three seater options. The proportions of this sofa give it a feeling of permanence and comfort and it is a firm favourite with hotel reception areas.